Brief: To design a project management SaaS application that can handle tasks, projects, timelines etc. 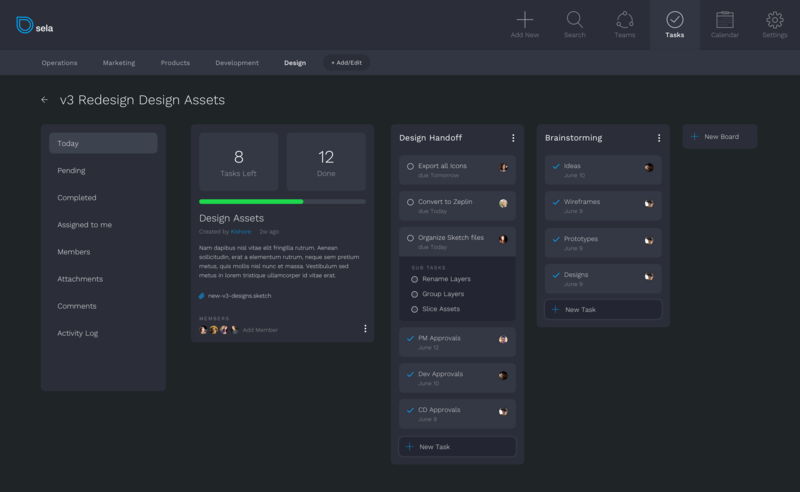 Here’s a project management SaaS app concept, with Tasks, Teams, Timelines etc. 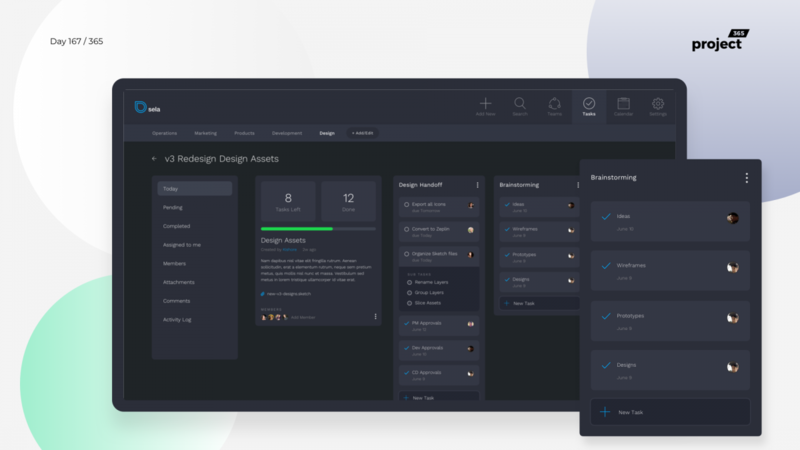 This screen has the tasks flow, where you can create any number of boards under a project, have a project details board, assign and remove members, create a set of tasks, subtasks etc. This can be viewed on a calendar view as well.